Sky Tower in Downtown Auckland surrounded with skyscrapers from below against the sun und deep blue sky. Ultra Wide Angle Shot. Auckland, New Zealand, Oceania. The indigenous people and their culture are still very much alive and an active part of contemporary Kiwi life. Why not check out some of their traditions and experience their culture with an organised tour taking you to see wood carving, listen to the myths and legends and even enjoy a traditional hangi feast. The cities of New Zealand are modern, well-developed spaces with sheening high rises and skyscrapers, modern architecture and excellent infrastructure. New Zealand has some of the top-rated liveable cities in the world and it's not hard to see why. It is here you can experience and enjoy performing arts, literature, museums and incredible art galleries. 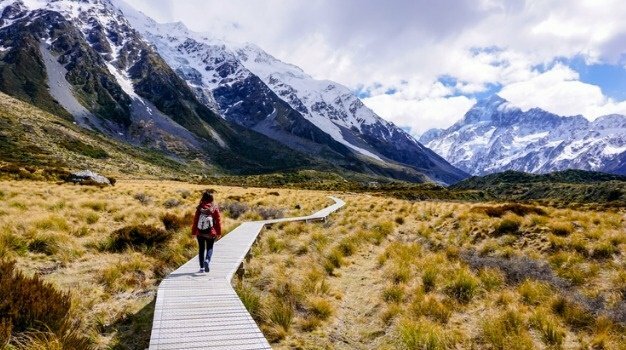 More than just Maori culture there is plenty of European heritage to see and experience in New Zealand. from Victorian cities and Art Deco towns to the sprawling mansions, hotels and cottages of the past. All over the country, you can find evidence of the country's colonial past with highlights such as the old Government Buildings in Wellington - largest wooden building in the southern hemisphere - and New Zealand's only castle built in the 1870s.